Applications from Elland United and Siddal Place to join the Haslem-Sheppard Halifax AFL were approved at last night’s AGM at Arden Road Social Club. Elland are returning after an absence of only two seasons. They were Premier Division champions in 2009-10 and won the Challenge Cup in 2011-12 but finished bottom of the Premier in 2014-15 and then seventh in Division One before folding. Stainland Rec was their last home ground. Siddal Place, who will play their home games at Park Lane School on grass, already have a successful Sunday side. 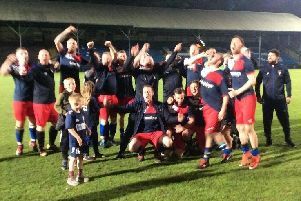 They won the Halifax Sunday League’s lower section in convincing fashion last season, dropping only two points, and reached the League Cup final but were beaten by Bradshaw. The AFL finished the 2017-18 campaign with 40 teams and as things stand will have 41 next season, Ryburn United having withdrawn one of their two sides following a successful application to the West Riding County Amateur League. The league added a division last season with three sections of 11 teams and a bottom section of seven sides, who played each other three times. Next season will kick off on the week commencing August 27 and the league has a new registration secretary in Matthew Gavan.